I am a stay-at-home mom, or a SAHM, of two girls ages 9 and 12. I spent a year and a half homeschooling my oldest, but now both girls are attending full time public school. Family time for us consists mainly of church activities and the extra curricular activities that the girls are involved in. At home we all enjoy playing cards, board games, Legos, and listening to AirOne on the radio. I used to scrapbook all of our family photos, but now that we have digital cameras I can’t seem to get the pictures from the computer to a scrapbook. So, now I am trying to at least blog and upload photos to facebook, so I do not forget the memories that I should be writing in my scrapbook. The photo at the top of this page is from a vacation on the beautiful California coast. 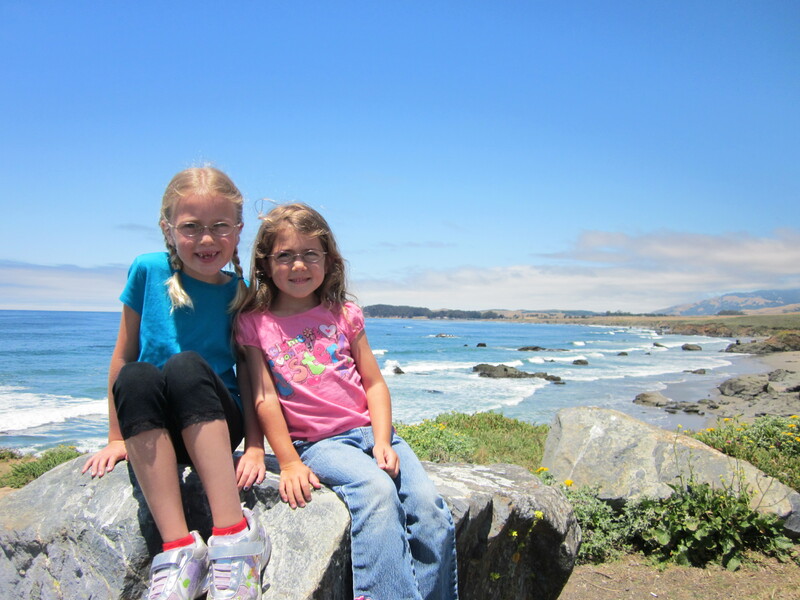 We hope to take more road trips up the coast now that the girls are getting older. I also love to bake. I make crazy fancy cakes for friends and family. My girls are very creative and have high hopes for their birthday cakes each year. It’s fun for me to experiment with new techniques and teach others what I have learned along the way. I hope to blog a little about all of these topics and I would love to acquire a following of friends who will comment with new ideas. Can I be your friend? I love you and your wonderful family and will enjoy reading everything you write! Yes! Thanks for being my friend. Have you heard of this digital scrapbooking program. It sounds like it is pretty easy and looks like you get a lot of options. A blog I read is often talking about it. Hey Tanya! I’m excited to see your new “expanded” blog! And just FYI, I have given up traditional scrapbooking and now just make photobooks with Shutterfly. So very easy and you don’t have to buy any fancy software. I highly recommend it! We homeschool our 5 year old son…mainly because he reads at a 6th grade level. I was curious as to why you decided to send your kids back to public school. I know from taking to my wife that homeschooling is very time consuming. We started homeschooling our daughter because she was advanced academically and her school was not meeting her needs. We homeschooled through an independent study program that our district offers, so we never lost touch with the public schools entirely. We heard of a public school in our area that allows the children to move from class to class for different subjects depending on their ability in each subject. We met with the principal and just fell in love with the school. My daughter was eager to try this new school and she absolutely loves it! Thank you for your comment and I wish you the best with homeschooling your son.